If you’re a specialist that likes to just walk to the tip and park it, this is the board for you. The Crown Royal is a full templated, traditional California noserider. Its wide tail block combined with moderately foiled rails provides added lift and hold in the most critical of sections. This is by far the best noseriding design in my line of longboards. GLASSING SCHEDULE: 8 oz. + 6 oz. deck, 8 oz. bottom, knee patch optional. FINS: Single-fin: long box or glass-on. ROCKER: Low entry with accelerated kick in the last 12 inches. RAIL: 50/50 all the way, not too pinched, not too round, zero edge in the tail for max hold. 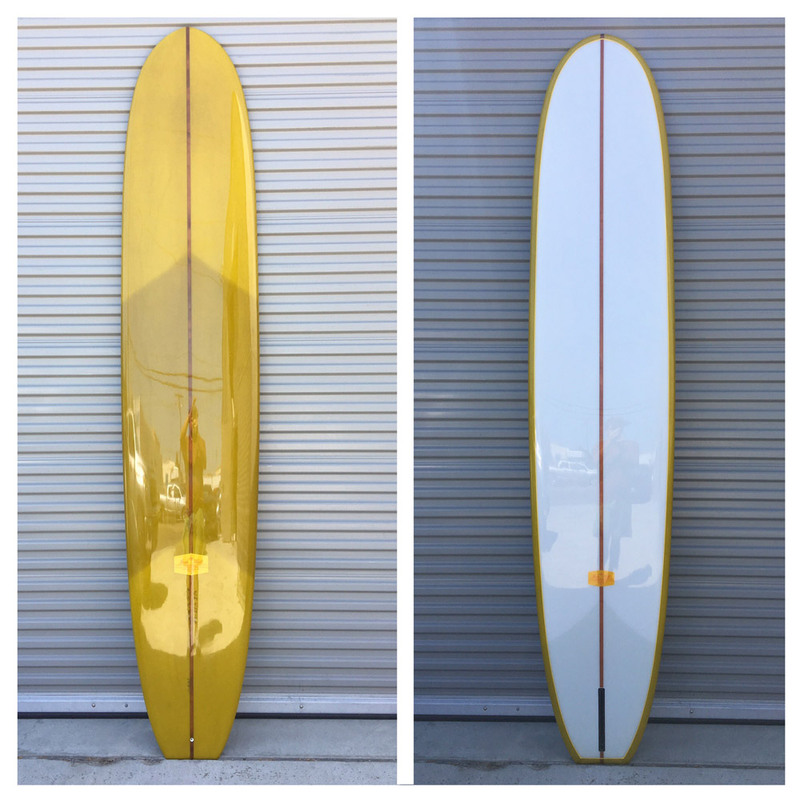 BOTTOM CONTOURS: Features a fairly deep concave that runs half way up, then blends into a rolled vee panel in front of the fin, and goes flat off the tail. TYPE OF WAVES: Best in long, running walls that are head high and below and below. Think Malibu.